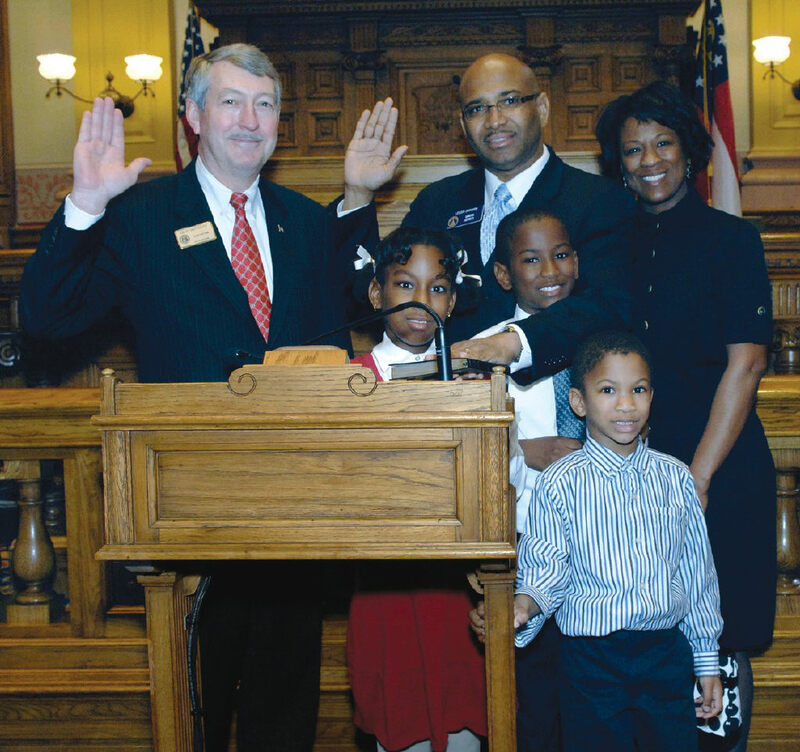 State Senator Lester G. Jackson III of District 2 was sworn in by Henry County Superior Court Judge Arch W. McGarity as the 2009 Georgia General Assembly got underway. On hand for the ceremony was Dr. Jackson’s wife, Lorna and their three children Lester IV, Leah, Johnathan along with his parents and dozens of out of town relatives and friends. After serving nine years in the House of Representatives, Dr. Jackson replaces former Senator Regina Thomas.